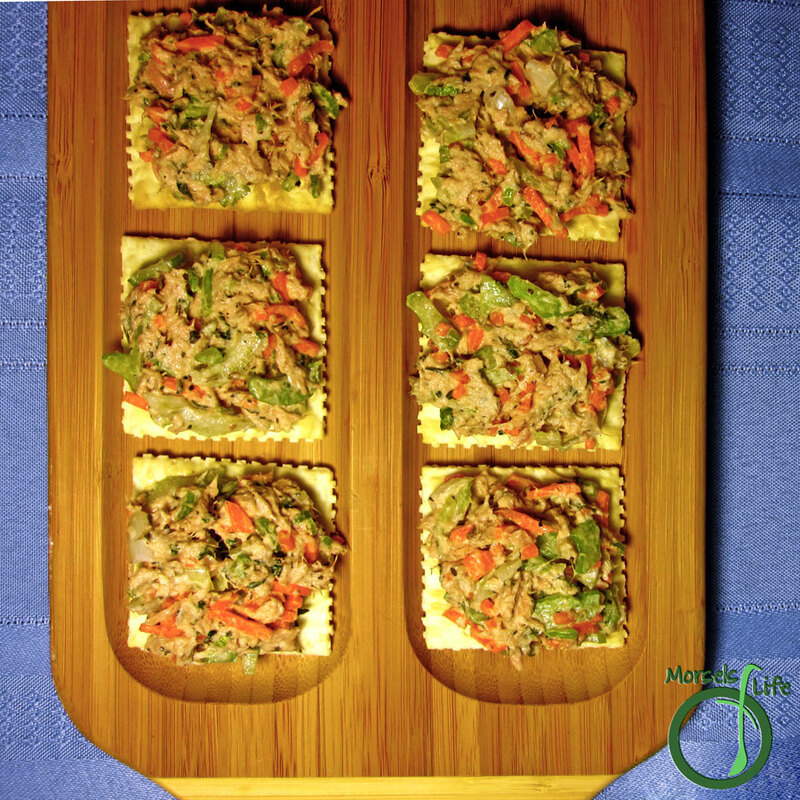 A flavorful tuna salad with the crunch of fresh celery, onion, and carrots. I've always been a fan of fish, but one of the few fish-containing foods I could never quite stomach was the infamous tuna salad. Usually a mish-mash of tuna, mayonnaise, and over-burdened with salt, it just never quite appealed to me. To me, Tuna Salad just takes all the negatives of fish and throws on a blistering amount of condiments to shut out the better aspects of fish. And just like many preconceptions, the time to throw this idea out the window came. Circumstances forced me to consider it as an option for James' lunch since he would only have access to a cooler with no refrigerator or microwave. Our usual "leftovers for lunch" wouldn't work too well under these circumstances. We needed something he could eat cold, and we wanted to avoid paying a small fortune for deli meat and cheeses. I also wanted to to spare both of us from the mundane terror of tuna salad. I figured I could play around and see what happened. I have to say, this tuna salad turned out better than expected. Incorporating celery, carrots, and onions really gave this tuna salad a more complex palette of flavors as well as a medley of textures, from soft to crispy. What are your thoughts on Tuna Salad? 1/3 cup 2 stalks celery, thinly sliced "against the grain"
Thanks! I'll enjoy trying this new twist on tuna salad. Nice to have a change! I actually like tuna salad. This looks really good! Thanks for sharing at Must Try Monday. My hubby loves tuna salad. I can't wait to make this version for him. :-) Thanks for linking up with "Try a New Recipe Tuesday!" I love tuna salad - my momma always made it with celery, onions, and pickles. I think you need the crunch to balance out the "mush" of the tuna and mayo mixture. :) Yours looks fantastic.